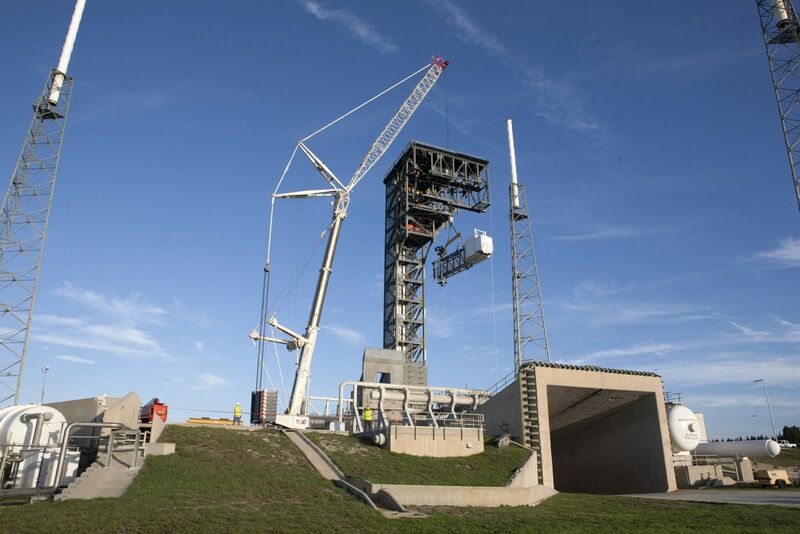 NASA, Boeing, and United Launch Alliance (ULA) completed an important milestones with the installation of the Crew Access Arm and White Room to the Crew Access Tower at Cape Canaveral Air Force Station’s Space Launch Complex 41 in Florida. The gantry way, from which astronauts will board Boeing’s CST-100 Starliner, is just the latest piece of a system meant to allow the U.S. to regain the ability to launch astronauts domestically. The trio of organizations worked with the U.S. Air Force’s Eastern Range and fretted that the turbulent Florida weather would interfere with the installation on Saturday, August 13 – and they were correct to do so. Early in the afternoon of August 12, NASA announced the installation would occur no-earlier-than Monday, August 15. The arm is approximately 50 feet (15 meters) in length and weighs an estimated 90,000 pounds (40,823 kilograms). NASA has stated the installation of the Crew Access Arm and White Room, essentially marks the completion of the Crew Access Tower. With the final pieces now in place and the first new crew access arm since the Apollo era put in place, NASA and Boeing have a far higher goal to meet – some 260 miles (420 kilometers) above our world. 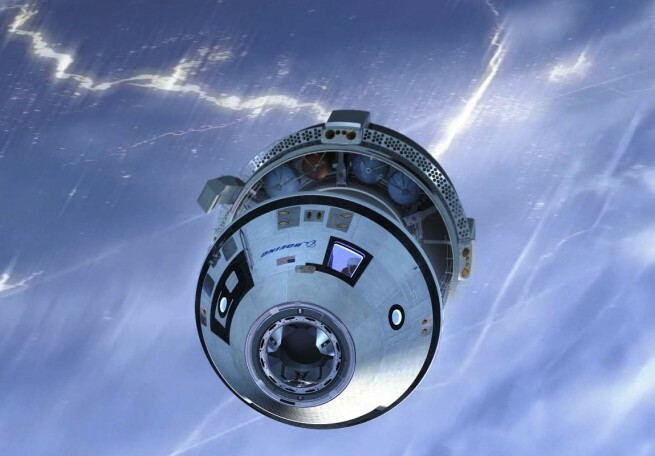 The first flight of Boeing’s Starliner spacecraft is currently slated for 2018. If everything goes as advertised, the CST-100 will be launched atop a ULA Atlas V 422 rocket (according to a report appearing on Gunter’s Space Page). However, over the years, funding has not been doled out to the Commercial Crew Program in the amounts promised. As was noted on Space News, this, and other issues, has caused the first flights of Starliner and SpaceX’s Crew Dragon spacecraft to be pushed back. For their part, ULA and representatives with NASA expressed hope for, and confidence in, the future of NASA’s Commercial Crew Program. HP and Saur, the contractor tasked with the construction of the Crew Access Arm, had their work cut for them as SLC-41 is one of the most active launch sites along Florida’s Space Coast. ULA’s family of Atlas V rockets takes off at a regular rate from the site. Coordinating when workers could move the structure’s various components (many of which were built off-site and then transported and then assembled at the pad) was vital. NASA has endeavored since 2010 to enable commercial companies to assume the responsibility of sending crews to the International Space Station. These efforts were initiated so as to have these companies provide safe and reliable transportation services to and from the orbiting lab. Four years later, the U.S. space agency tapped Boeing and SpaceX as the firms that would bear work to fill this role. “John Glenn was the first to fly on an Atlas, now our next leap into the future will be to have astronauts launch from here on Atlas V,” Barb Egan, the program manager of ULA’s Commercial Crew efforts said in a post by NASA. The agency has lacked the ability to launch astronauts since Space Shuttle Atlantis completed STS-135, the final flight of the shuttle era, in 2011.